Several updates, a few of which I should have gotten to weeks ago. Weeks, I tells ya! Next Wednesday marks the one-month anniversary of the Dork Tower Patreon’s launch. Frankly, it’s been an amazing few weeks. It certainly took me by surprise, particularly as we began smack-dab in the middle of the Great Patreon Kerfluffle of 2017. I’ll be using it as a platform to preview pages of the upcoming Tao of Igor trade paperback. 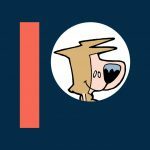 I’ve a firm schedule now, for the Tao of Igor Kickstarter, in large part due to the confidence gained in my ability to juggle projects (again, THANKS, Patreon patrons)! I’m finishing up some files, and hope to have some monsters and lands from my Dungeons & Dragons campaign to soon share with Patreon backers. (This takes place in the lands of Aurora, where the Dortk Tower crew spend their Warhamster roleplaying time: a lot of little details that have popped up in the strips will be revisited in detail here). I’m trying to add at least one bonus Dork Tower comic every week, between now and February, just too get back into the multi-strip mindset. There are other shenanigans I’d like to use the Patreon platform for, but for now, I’d rather under-promise and over-perform. So we’ll keep some goodies under wraps, and possibly surprise folks with them in the not-too-distant future. 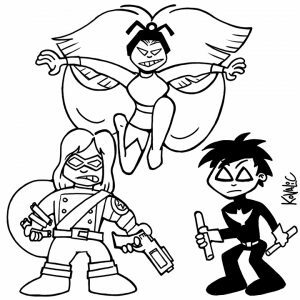 The Dork Tower Patreon has me thinking about my work in ways I haven’t, in a decade. Even Munchkin is better for it: I’m organizing my time more efficiently, and setting myself micro-deadlines during the day. I still waste a few hours online, yes, but far fewer than before. And I’m no longer rushing out Dork Towers the day before they’re (theoretically) due, but planning them out to hit the schedule. 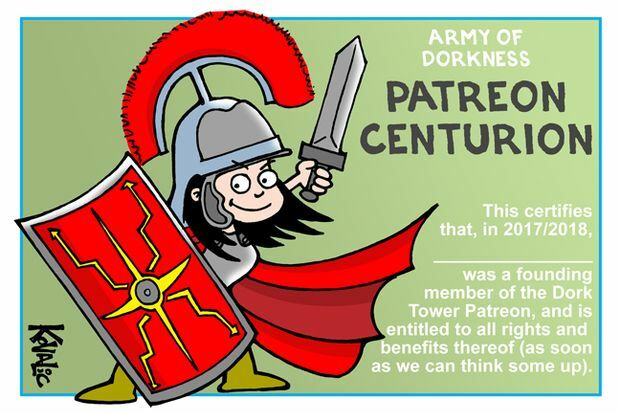 SPEAKING OF PATREON, there’s still time to get an Army of Dorkness PATREON CENTURION card! 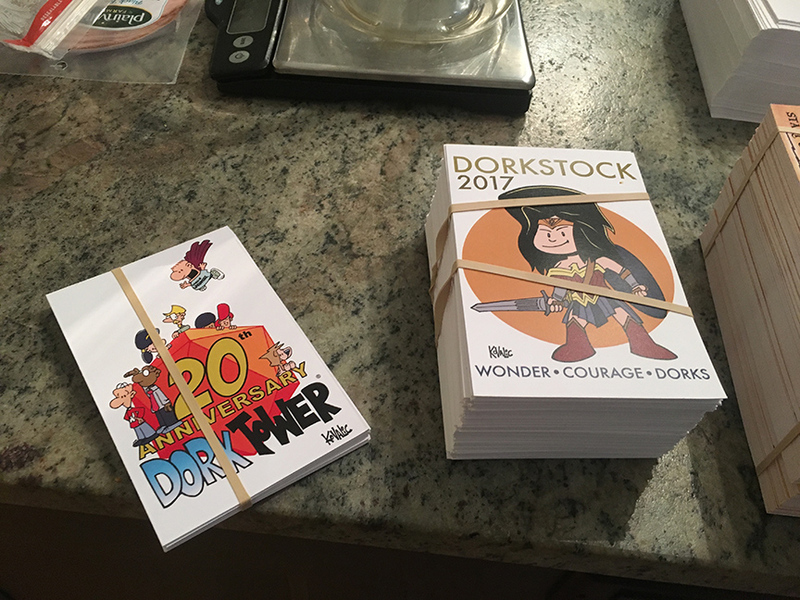 Anyone who supports the Dork Tower Patreon before midnight, PST, Wednesday Jan. 10, becomes a founding member of this crazy scheme, and gets this memento of the crazy occasion. 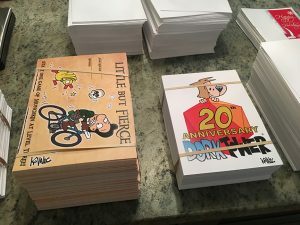 Matt- and Gilly-level supporters will get the signed cards mailed to them automatically. Others can download PDFs of the card, or just Paypal postage and handling charges to get physical, signed copies. Someone asked about buttons, to go with previous Army of Dorkness levels. We should be able to do that, as add-ons, for those who’d like them. INSANE CHARITY BIKE RIDE 2017 goodies are all printed up, and I’m hoping to have everything signed, and ready to send to Fulfillment Guru David next week. This all adds up to about 1,000 things for me to sign, this weekend, because you amazing people helped raise more than $17,000 for the Fair Share Coalition! That – simply – smashed our previous record! YOU FOLKS ARE INCREDIBLE! I had hoped to get everything to folks by Christmas – that did not happen. HOWEVER, this is by far and away the earliest we’ll have had swag sent off, so far. After five of these things, it’s almost like I’m starting to learn some lessons! 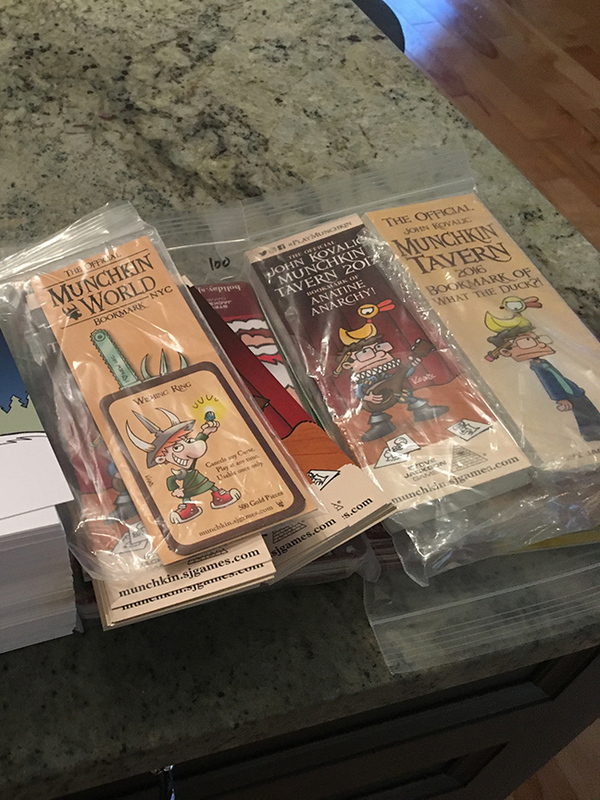 Next year, I’d like to do even better, and I’m hoping to have all the Munchkin Charity Postcards, etc., completed and ready to go to press by the time of the ride itself. One drawback this year was the new web interface that Bike the Barns used. Overall, it was great, but it made it almost impossible to communicate with backers like I had in the past. 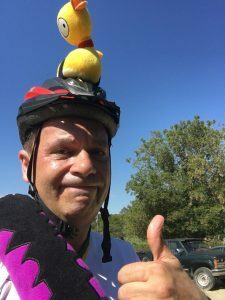 However, Fulfillment Guru David found a way to cull the donors’ emails, so going forward, I hope to keep in touch better. I’m playing around on my iPad Pro, with Clip Studios and the Apple Pencil, as much as I can. Friday’s bonus Dork Tower was done using them. Here’s a silly little morning warm-up sketch for you: WINTER STORM GRAYSON.